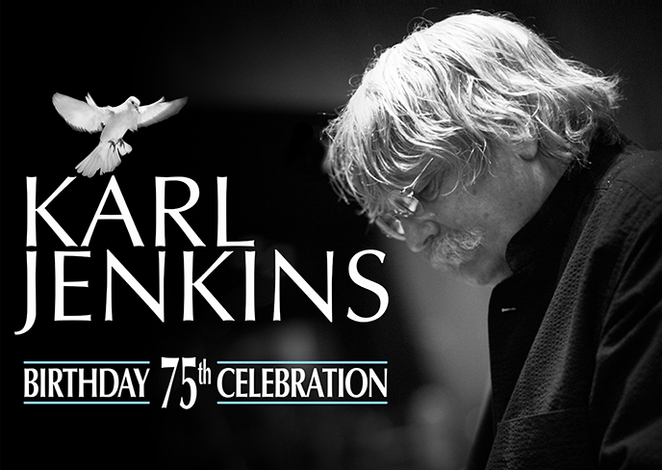 Composer Sir Karl Jenkins' 75th Birthday Concert at Birmingham's Symphony Hall proved to be a sell-out and led to a standing ovation from much of the audience. The septuagenarian shows no signs of slowing down as he conducted a two-and-a half hour concert of his music with Manchester Concert Orchestra and Canzonetta choir. The first half of the performance featured a host of his popular works including Palladio, excerpts from his Symphonic Adiemus and Stabat Mater. The concert was also the first time the Birmingham audience was introduced to his organ concerto 6000 Pipes! which was composed to mark Hull gaining City of Culture 2017. This fun piece, played brilliantly by Jonathan Scott, takes us back to the music hall days and also gives a nod to Hull's role as a seafaring city. The main focus of the concert was a performance of Jenkins' The Armed Man: A Mass For Peace which has become a modern classic since being commissioned to celebrate the Millennium. Using an eclectic mix of texts from poetry, the Bible, the Muslim Call to Prayer, The Mahabharata and elements of the Catholic Mass, it creates a contrasting vision of a world of war and horror and a world of peace and reconciliation. Jenkins' composition has always defied categorisation and his use of a range of different instruments, including hand claps, really comes to the fore when you watch his music live. In this performance he was hugely helped by a talented team of percussionists from the Manchester Concert Orchestra and percussionist Zands Duggan. Soloist Kathryn Rudge gave a powerful performance particularly on Angry Flames, a poem written by Togi Sankichi who initially survived the Hiroshima atom bomb but then developed leukaemia as a result of its radiation. Bearing in mind this was Jenkins' birthday celebration and he was clearly in a room full of friends it would have been nice for him to take a moment to talk to the audience either about the pieces being performed or about himself. But maybe he's a believer that the music does all the talking necessary.